What State are you Looking for Land in? What areas of Arizona are you looking for Land in? What areas of Arkansas are you looking for Land in? What areas of Colorado are you looking for Land in? Complete the form below and make your down payment. After we receive your information and down payment we will prepare the documents for signing. Sign the documents online and you can start enjoying your land! This property is available, secure it before someone else does, please complete the information form below to begin the process! This 0.3 acre lot is located in the Valle Vista Golf & Country Club just 17 miles from Kingman, Arizona and the address is 10073 Blackboot Drive, Kingman, AZ 86401. Valle Vista Country Club is located between Las Vegas and Flagstaff. Valle Vista Country Club is 123 miles from Las Vegas and 148 miles from Flagstaff Dolan Springs and is located on the longest remaining stretch of fabled US Route 66. Nearby attractions are Las Vegas, Lake Mead, and the Grand Canyon Skywalk. Lake Mead is about a hour away, where you can fish, swim, hike, Jet Ski, and enjoy boating. This property has great temperatures all year long due to the elevation of 3120 feet. This unique community offers challenging 18-hole golf on a championship course with dramatic views. Amenities include: Community Pool, Park, and Restaurant. The GPS coordinates are 35.415908, -113.867751. Taxes per year are only about $68 a year and the HOA fee per year is only $124. Title transferred on a Warranty Deed. 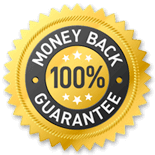 I also offer a 30 day money back guarantee, so it’s literally risk-free. I accept cashiers checks, paypal, debit, credit cards and bank wires for payment. I also will provide owner financing with only $500 Down and $200 a month for 41 months. Don’t hesitate to contact me about this property before it’s gone. This lot has Power and Water at the lot. This one won’t last long. You’re working directly with the Owner, no Brokers! We Handle All the Paperwork and Make the Transaction SIMPLE. Use the map below to zoom in and out on the property. We provide this tool so you, the potential land buyer, can get a feel for what is in the area, what type of road access the property has, if there are electric poles close by, and much more! This is a GREAT way to look at land BEFORE you drive out in person. The easiest buying experience I ve ever hed. Ben is awesome to work with. THIS PROPERTY IS SOLD. PLEASE SIGN UP FOR OUR EMAIL LIST TO BE NOTIFIED OF MORE PROPERTY LIKE THIS WHEN AVAILABLE. 2015-2018 Land Direct USA, LLC - All Rights Reserved.